This exhibition explores relationships between art and technology through a playful and artistic investigation of robots. 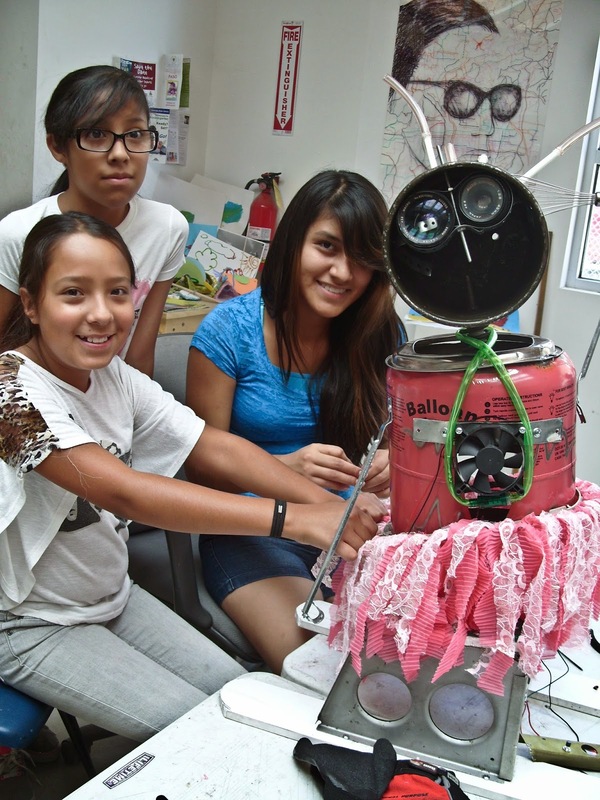 DAVA youth created a variety of robots using found materials, drawings and short film. 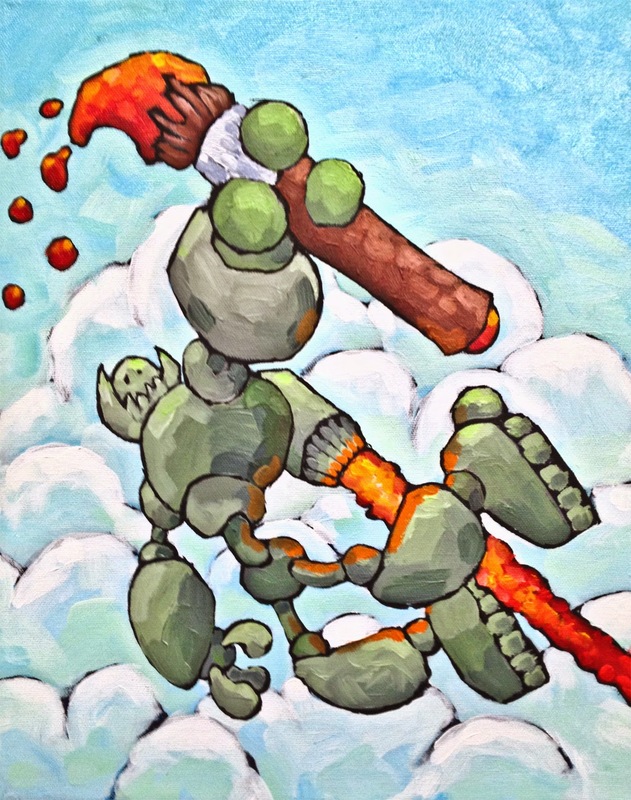 Art robots by guest artists Shane Evans and Dan Sorensen add another layer to the exhibition. The exhibit opens to the public Friday September 12th from 4 to 7:30 pm with a reception and a special screening of short films by DAVA students created at the Colorado Film School. The exhibition will be on view until November 18th, 2014. DAVA (Downtown Aurora Visual Arts) is located at 1405 Florence St., one block south of East Colfax in the Aurora Cultural Arts District. DAVA Job Training students integrated artistic and technological research into the fabrication of robots. They worked with guest artist Shane Evans to master basic technology and include movement, light and sounds. 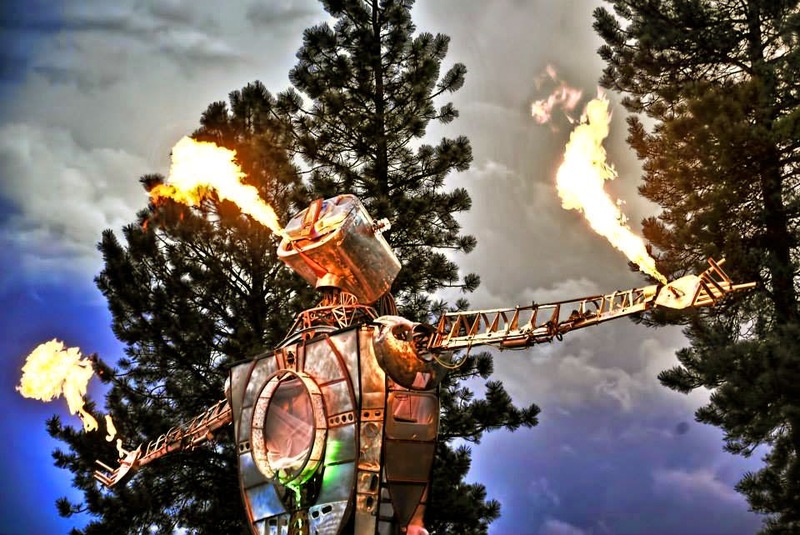 Student “artbots” are 2 to 4 feet tall and made entirely out of recycled materials. Younger students from DAVA’s Open Studio imagined robots through drawings. They also deconstructed old toys to reassemble them into interactive robots. 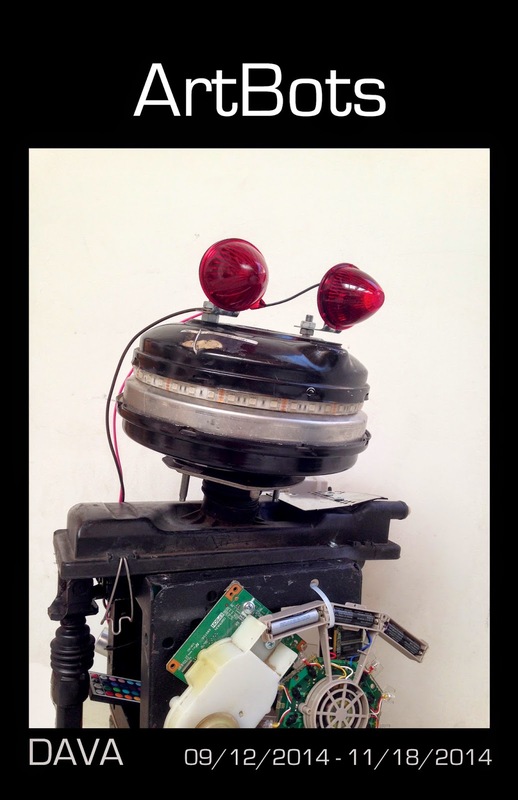 Guest artist Shane Evans smaller sculptural robots, made from repurposed metal, will be exhibited at DAVA. Paintings by Dan Sorensen contribute to the imaginative aspect of robots in art. 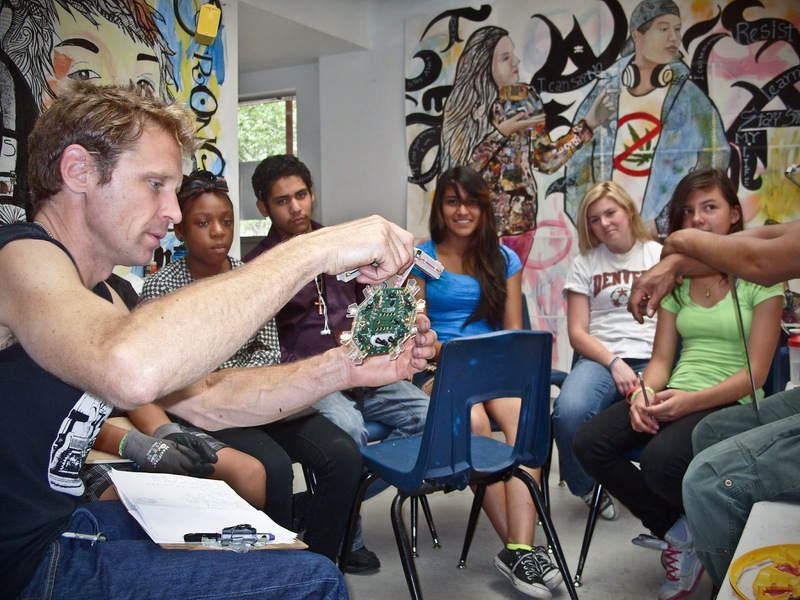 Dan also inspired younger students during a robot drawing workshop at DAVA. Short films produced by 24 DAVA Job Training students with Professor Geoffrey Chadwick at the Colorado Film School explore the theme of robots in the context of science fiction, romance, comedy or action shorts. This exhibit is free and open to the public from 10 am to 5 pm, Monday to Friday or by appointment. Downtown Aurora Visual Arts is a nonprofit arts organization whose mission is to strengthen the community through the arts with youth as its primary focus. For more information about our programs, visit www.davarts.org, or call DAVA at 303 367 5886.